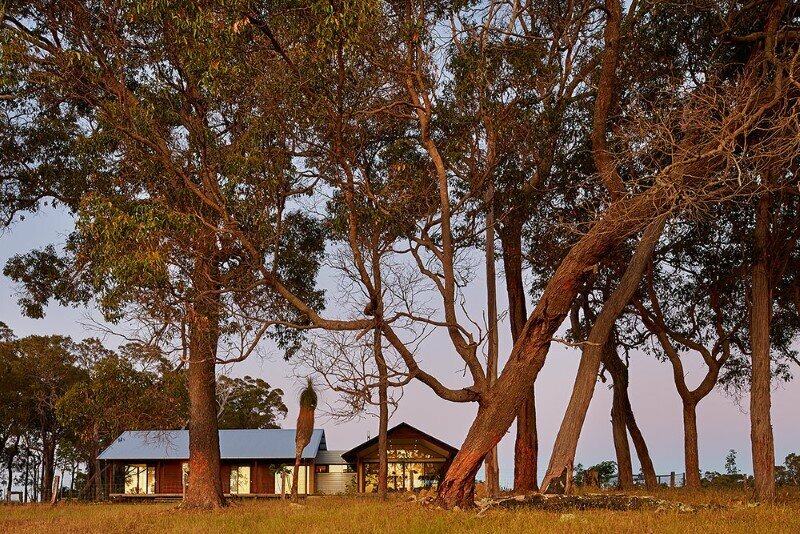 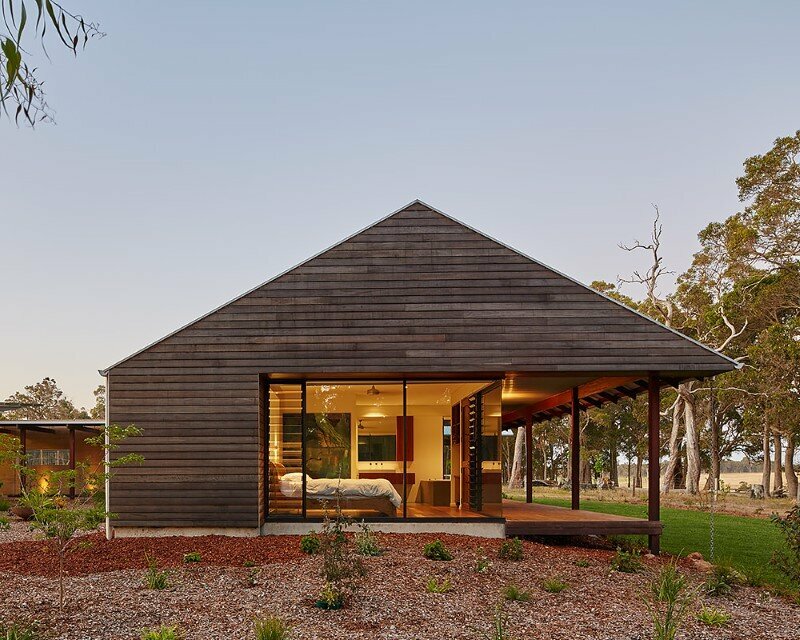 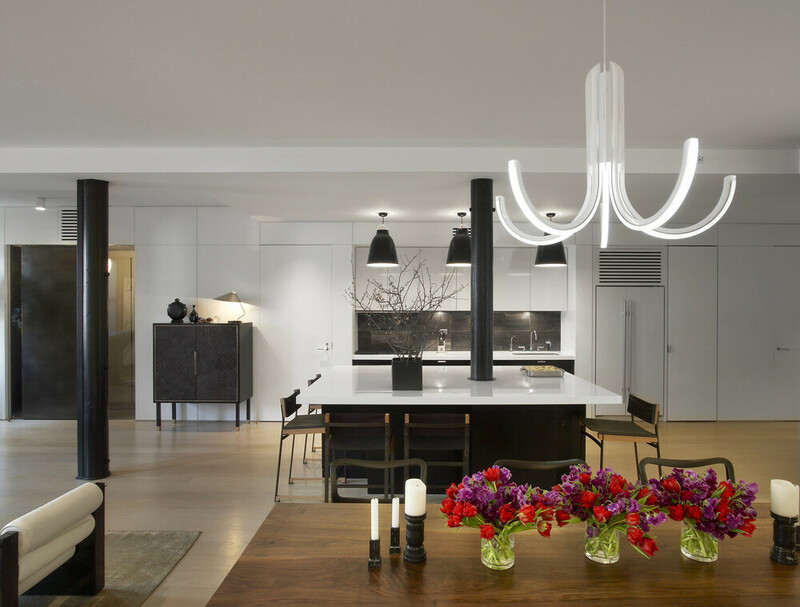 This modern australian farm house was designed by Archterra Studio in Margaret River, Western Australia. 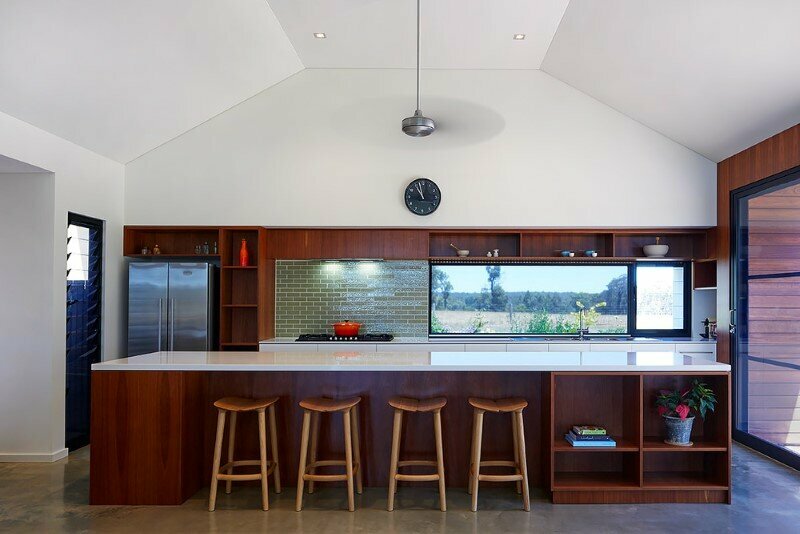 Description by Archterra: This house sits along a ridge between sections of remnant jarrah bushland on a working cattle farm. 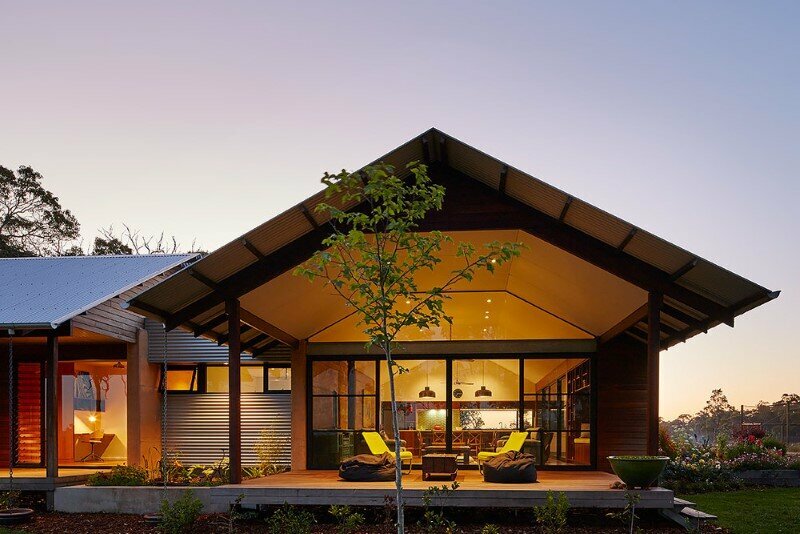 The project aims to satisfy the owners requirements of a house with pitched roof and traditional farm house verandah wrapped into a contemporary home. 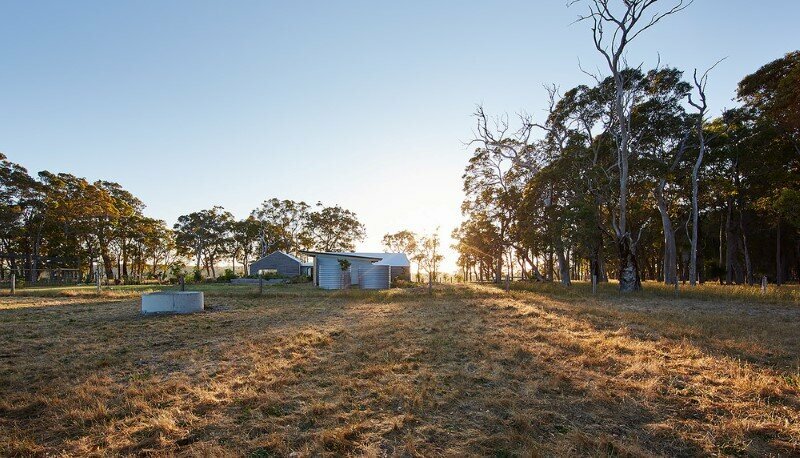 A primary outlook across paddocks to the east and a need to maintain a passive solar orientation to the north, generated a T shaped plan response. 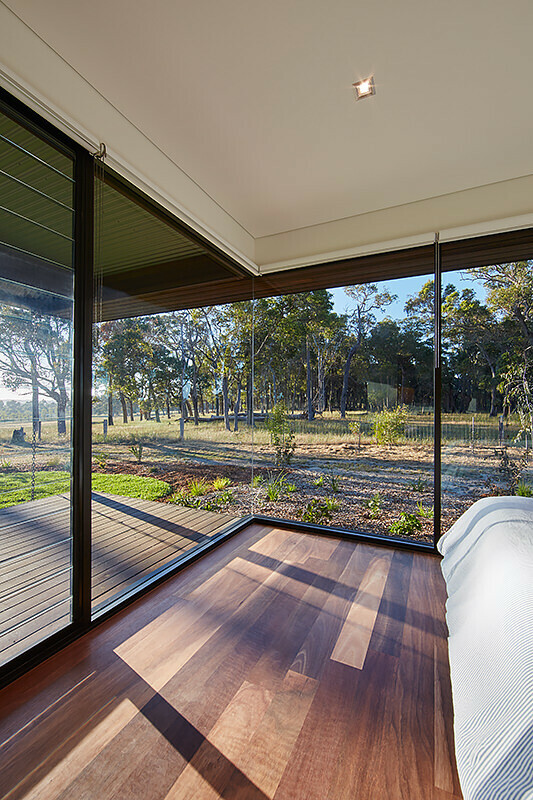 The living pavilion is orientated north, whilst the sleeping areas align east-west. 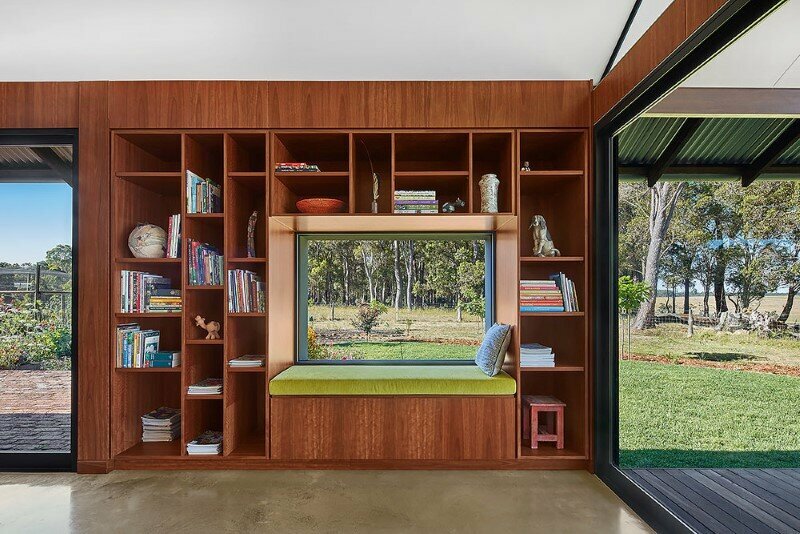 Morning sun is moderated on the sleeping pavilion by the traditional verandah to the east whilst a thick rammed earth wall to the west ensures the thermal-lag effect of the earth wall keeps internal spaces cool into the late afternoon. 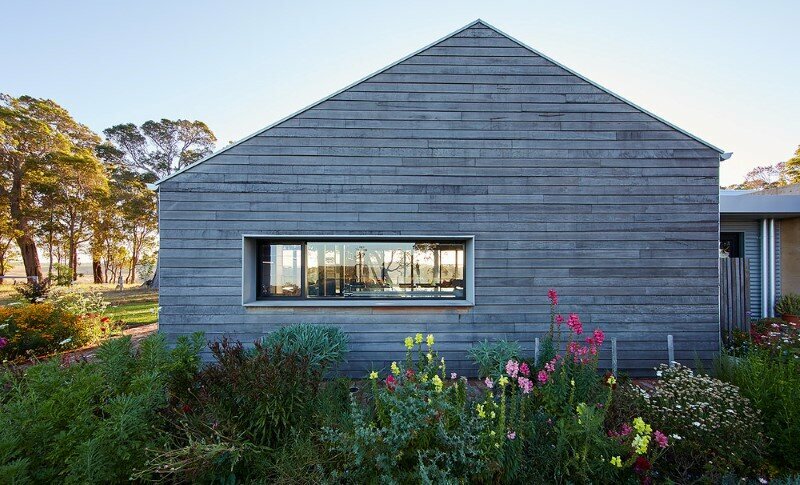 Narrow louvre windows on this west elevation funnel cooling SW breezes through the house and present a minimal surface for afternoon sun to penetrate. 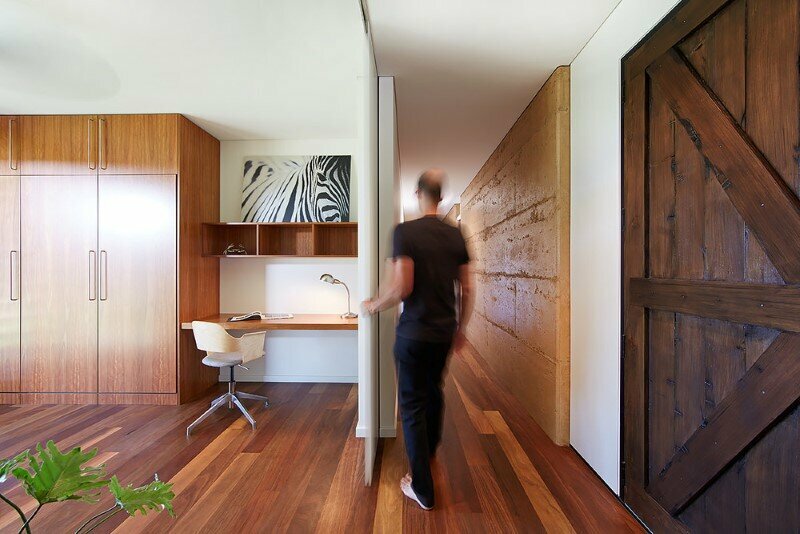 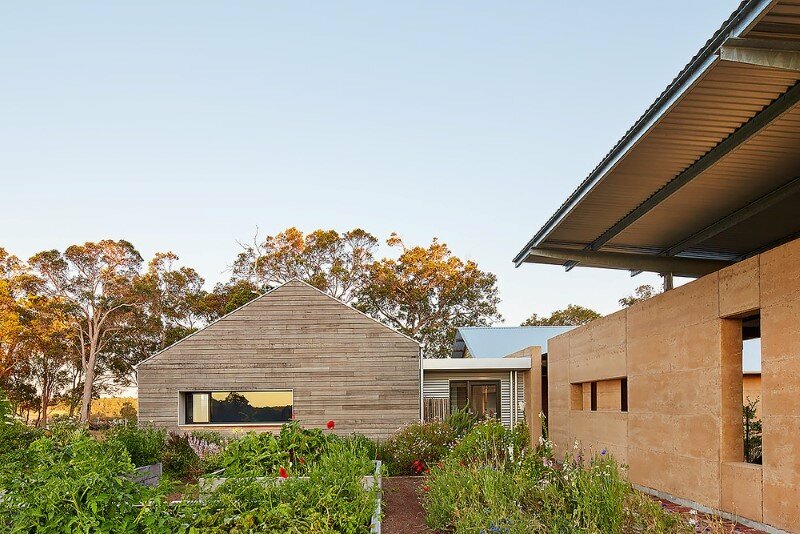 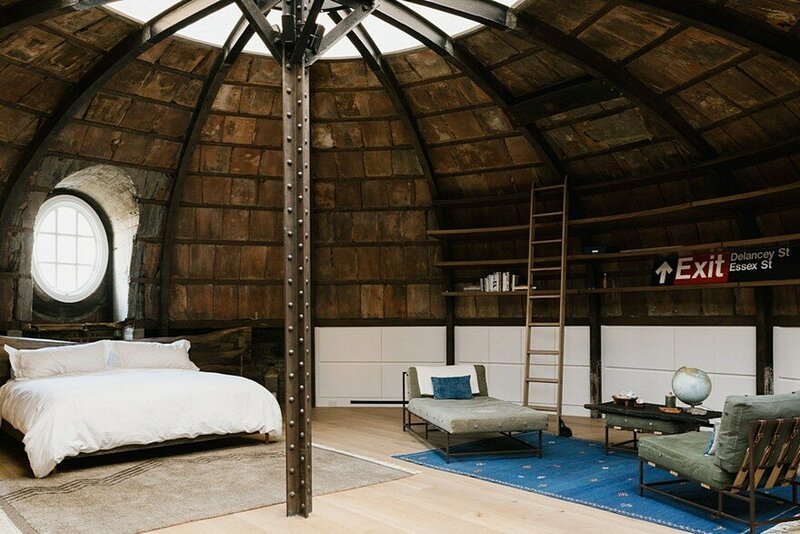 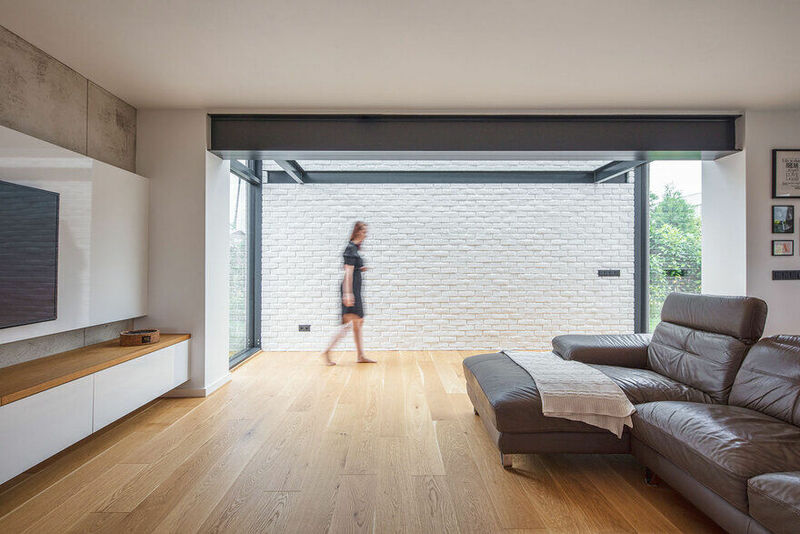 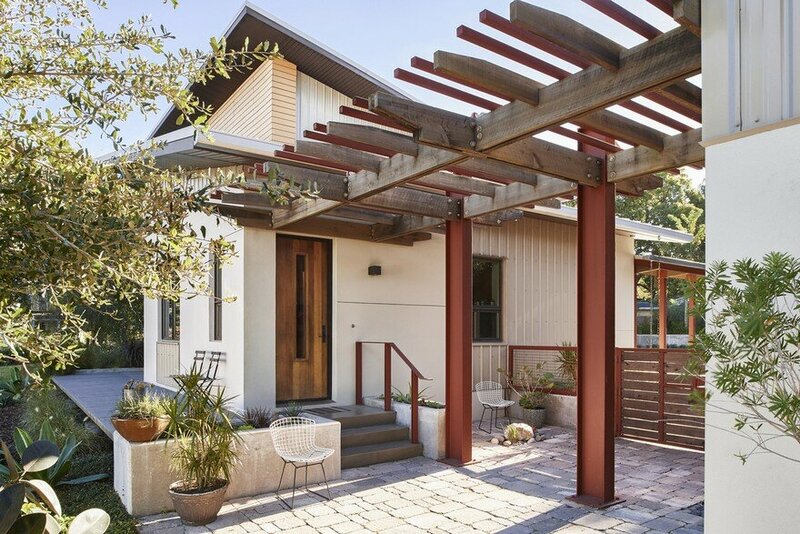 A mix of natural, tactile materials including rammed earth, oiled timber cladding, flooring and structure are contrasted with man-made materials of plasterboard, galvanised steel and corrugated metal cladding. 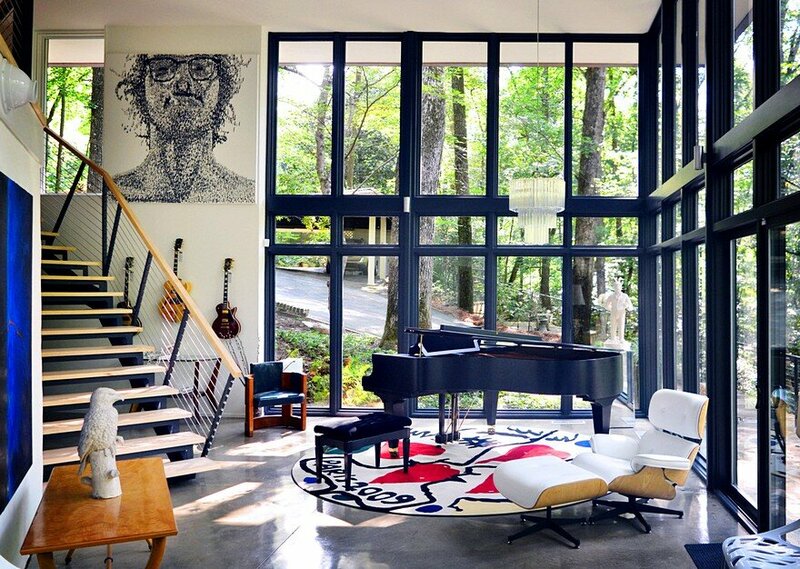 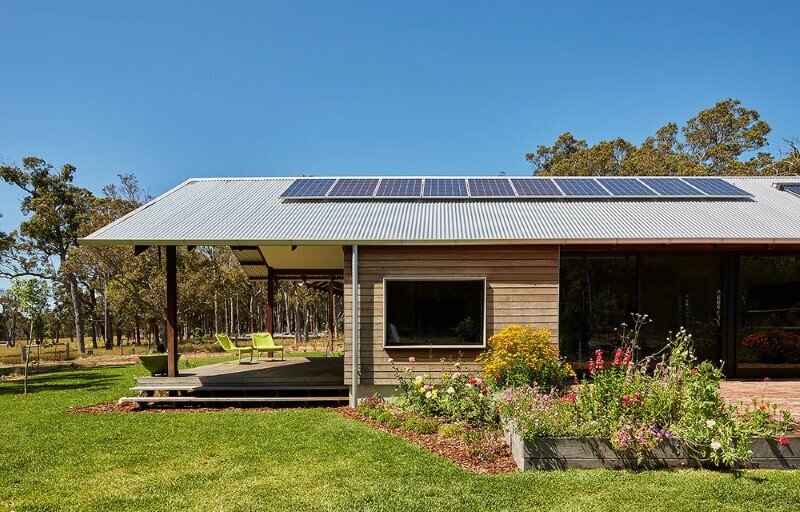 A 2kW solar array, evacuated tube solar hot water heater and blackwater recycling system compliment the passive solar design of the house. 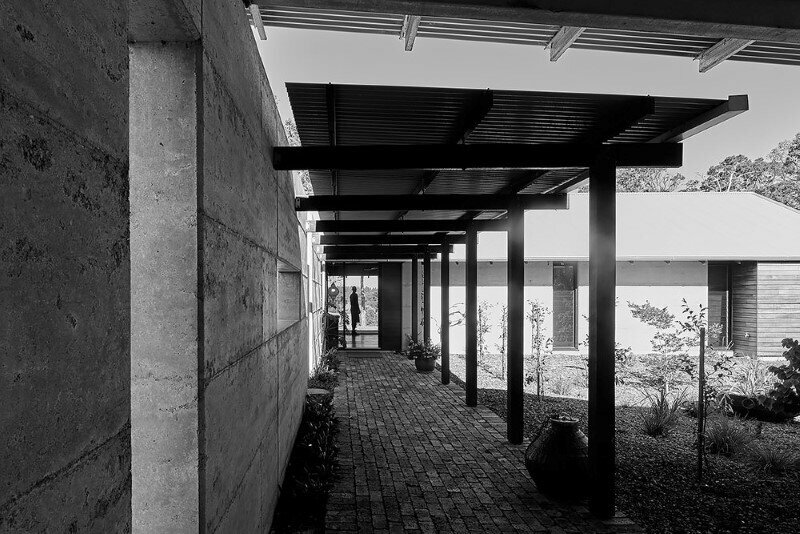 This project had a life cycle assessment carried out by etool and achieved an overall GOLD rating.